Canada’s television and telecom complaints department has released its annual report, revealing a 57 percent increase in complaints compared to last year. The Commission for Complaints for Telecom-Television Services (CCTS) accepted 14,272 complaints between August 1st, 2017 and July 31st, 2018, concluding 13,224 of those complaints and resolving 12,149 complaints. Resolving a complaint means the complaint has been processed and a resolution has been administered. Concluding a complaint refers to the overall process of closing a complaints case. Either a resolution is administered, or the CCTS determined — before or after an investigation — that there was no need to issue a resolution. Of those 14,272 complaints, the CCTS accepted 4,734 from Montreal-based national telecom service provider Bell — a 45.8 percent increase compared to the commission’s 2016/2017 report. Toronto-based national service provider Rogers received the second-most complaints — 1,449 or 10.2 percent of all complaints. The CCTS reports that it accepted 34.4 percent more complaints against Rogers this year compared to last year. Vancouver-based national service provider Telus came in third place with 944 accepted complaints — 6.6 percent of all complaints, and a 49.6 percent increase compared to last year. Toronto-based regional service provider — and Canada’s fourth-largest carrier by subscribership — Freedom Mobile received the fourth-most complaints. The CCTS accepted 850 complaints against Freedom Mobile — 6.0 percent of all complaints, and a stunning 185.2 percent increase compared to last year. In his general message, complaints commissioner Howard Maker addressed this year’s increase in complaints, stating this his department has tried to handle the influx. “The large increase in complaints this year did have an effect on our operations, and it has taken us somewhat longer to handle those complaints that reach our investigation level,” said Maker. Maker also acknowledged the Public Mobile price hike scandal that ultimately led the low-cost flanker brand to acquiesce to consumer complaints. “We spoke to the provider and informed it of the large number of dissatisfied customers,” said Maker. Public Mobile received over 1,600 complaints as a result of a decision to increase the cost of a $120/12GB 90-day promotional rate by $30. The carrier reversed its decision a day-and-a-half later. 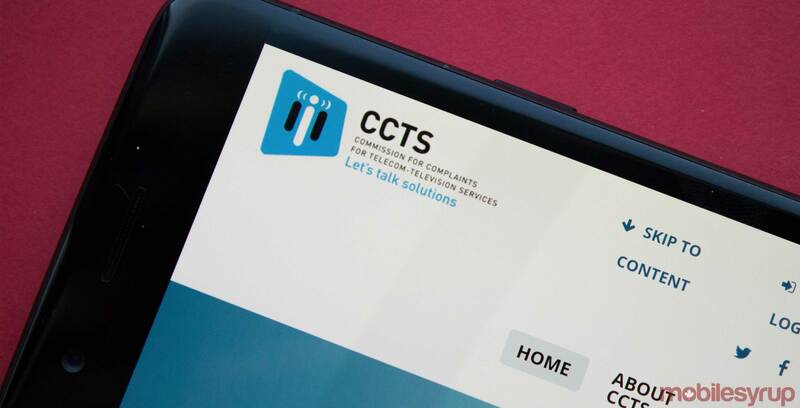 In addition to accepting and investigating complaints on behalf of Canadian telecom consumers, the CCTS also investigates alleged breaches of the various telecom codes of conduct, including the Wireless Code of Conduct. The CCTS reported that it compiled 3,539 alleged Wireless Code breaches. Of that figure, the Commission determined that 3,172 allegations didn’t require additional investigation. The CCTS ultimately determined that there were 111 total Wireless Code breaches. Bill management issues represented the greatest proportion of Wireless Code breaches — 41 breaches, or 36.9 percent of the total value. Interesting to note is that 10 breaches — 9.0 percent of the total figure — had to do with mobile device issues. In one case, a service provider sold a locked phone that should’ve been sold unlocked, and in nine cases, the service provider didn’t provide the appropriate means to unlock a locked device. Rogers led the pack, with a total of 44 confirmed breaches. The majority of the carrier’s breaches — 22.5 percent — pertained to bill management issues. Bell came in second place, with 23 confirmed breaches. The bulk of Bell’s confirmed breaches — approximately 7.2 percent — pertained to mobile device issues, including unlocking issues. Telus came in fourth, with 10 confirmed breaches. The bulk of Telus’s breaches — approximately 2.7 percent — had to do with contract cancellation and extension issues. Saskatchewan-based Crown carrier SaskTel recorded the fewest confirmed breaches. The CCTS found only one breach, pertaining to contract and related document issues. Overall, the CCTS logged the most complaints from Ontario. The Commission accepted 6,663 complains from Ontario, representing 46.7 percent of all accepted complaints. Quebecers lodged the second-most accepted complaints, with 3,776 complaints representing 26.5 percent of the total value. The CCTS accepted 1,442 complaints from British Columbia. At 10.1 percent of all accepted complaints, British Columbians complained the third-most of all of Canada’s provinces and territories. Nunavut and the Northwest Territories tied for the least number of accepted complaints. Each territory only registered four accepted complaints — a figure that represents less than zero percent of the overall 14,272 accepted complaints. Of the overall complaints submitted to the CCTS, the Commission identified 30,734 specific issues raised by consumers. Wireless concerns accounted for the largest percentage of all recorded issues. The CCTS recorded 12,757 issues, approximately 41.5 percent of the total. Complained raised 8,987 internet issues, or 29.2 percent of the total issues identified.